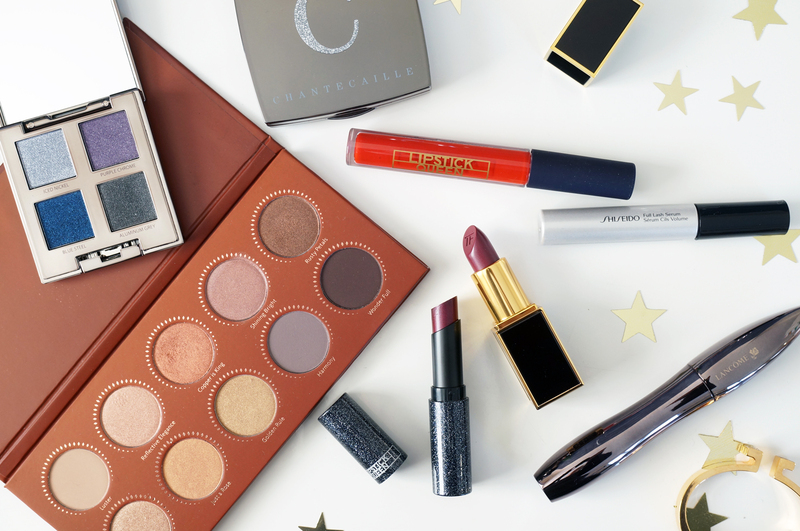 If you’re looking to give (or receive, ahem) some gorgeous beauty products this Christmas, I’ve put together a nice little selection today to hopefully inspire you. This little lot would definitely be on my Christmas list if I didn’t have them already! What a beauty hey! 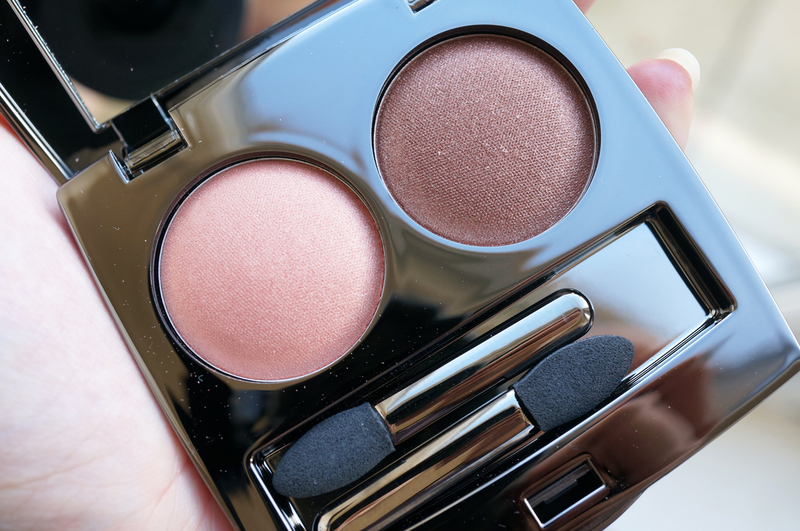 Laura Mercier products are always gorgeous so there’s no surprise there. 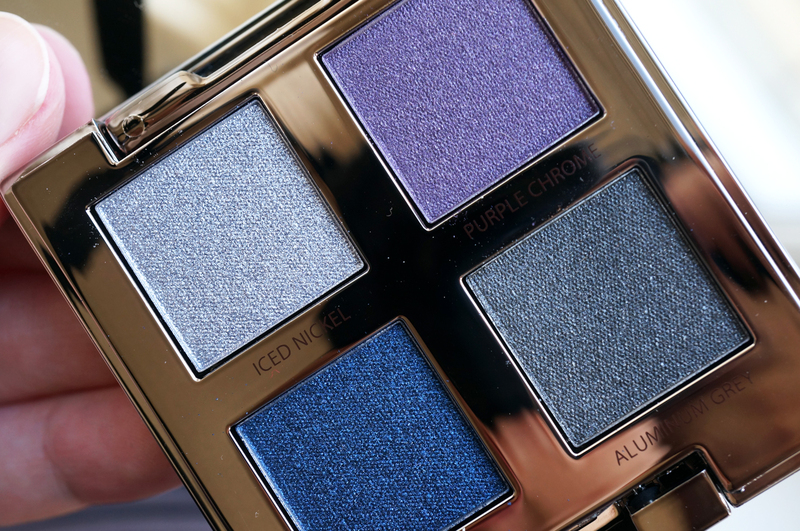 This palette contains four beautiful eyeshadow shades in Iced Nickel, Purple Chrome, Blue Steel and Aluminum Grey. These gorgeous jewel colours would be perfect for anyone who loves a more intense statement eye. The shades shimmer in the light and have a a unique and innovative pigment emulsion which gives a stunning foil effect when applied dry. You can also apply them wet for a super intense high coverage metal chrome effect, with a soft velvety finish. This Lipstick Queen lipstick is literally ‘lipstick heavean’ in every way. Just look at the casing! It’s packed full of shiny silver glitter, and it just says ‘Christmas!’ to me! Lipstick Queen All That Jazz collection (£24.00) contains four lipsticks with a silky, nourishing formula that gives a high shimmer molten metal finish. This shade is Paint The Town, a deep red with fuchsia pearls, and it’s just gorgeous. I’m really loving darker red and mauve lip shades at the moment so I treated myself to this little Tom Ford beauty a few weeks ago. I’d been eyeing up the lipsticks on the Tom Ford counter for a while and finally thought I’d try a few out. 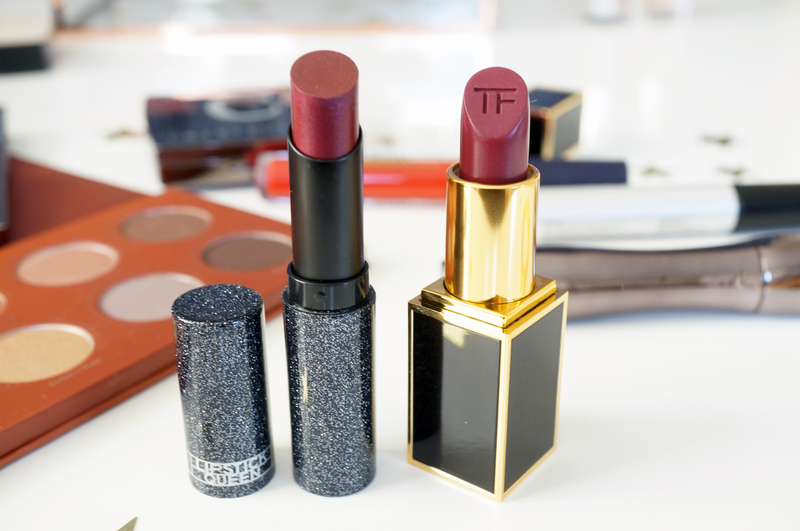 I took the plunge and went for the Tom Ford Lip Colour in Moroccan Rouge (£38.00) – this is a beautiful deep plum with the slightest hint of shimmer. It’s wonderfully creamy and gives a lovely glossy finish. I picked this up with the Rose Gold 2 Brush Sets when they were first released as I was just drawn to the stunning warm shades. I can tell you they did not disappoint. 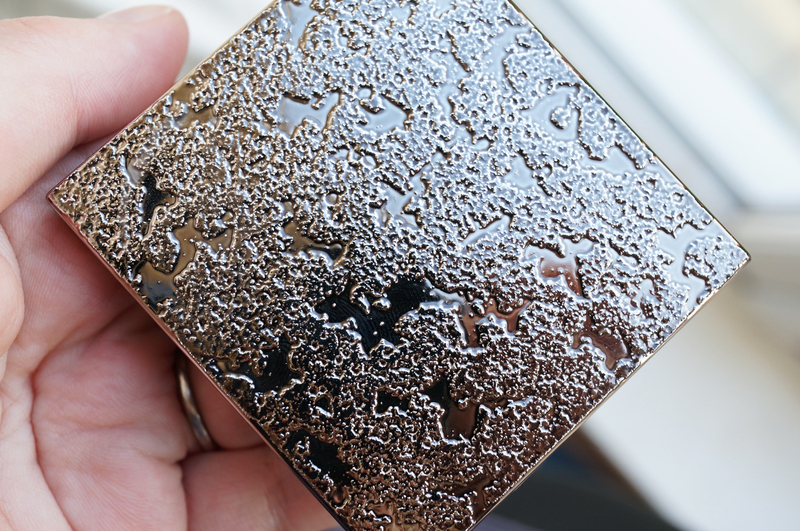 The palette is large, with large round pans, and contains ten beautiful matte, metallic and satin shades. 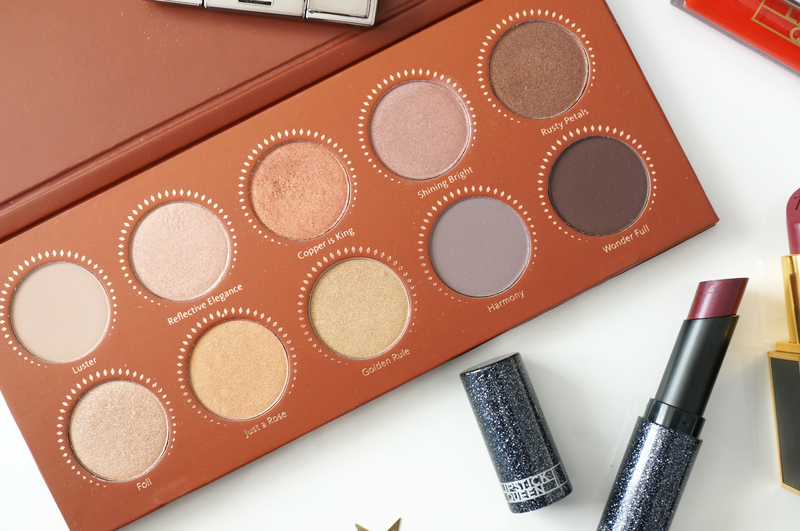 Now I know this isn’t the most ‘wintery’ palette in the world, but it’s just so pretty, I think any beauty lover would be thrilled to open this on Christmas day! 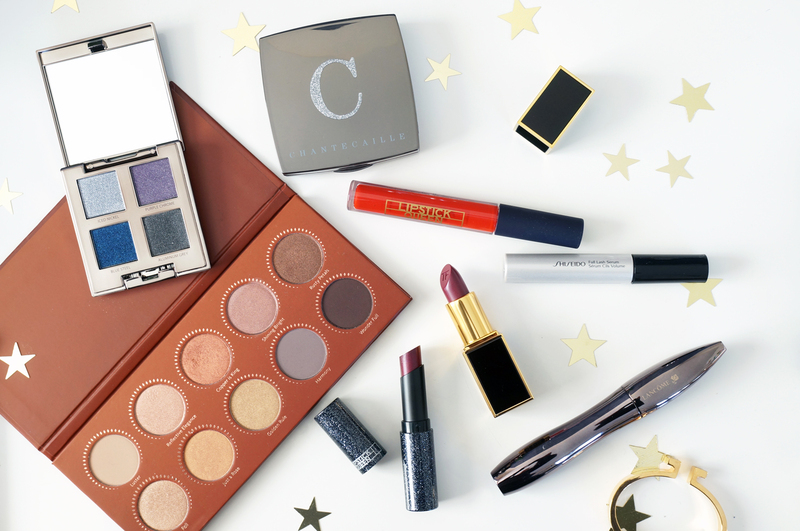 The Chantecaille Chrome Luxe Eye Duo (£48.00) is the perfect gift for any fan of luxury beauty. 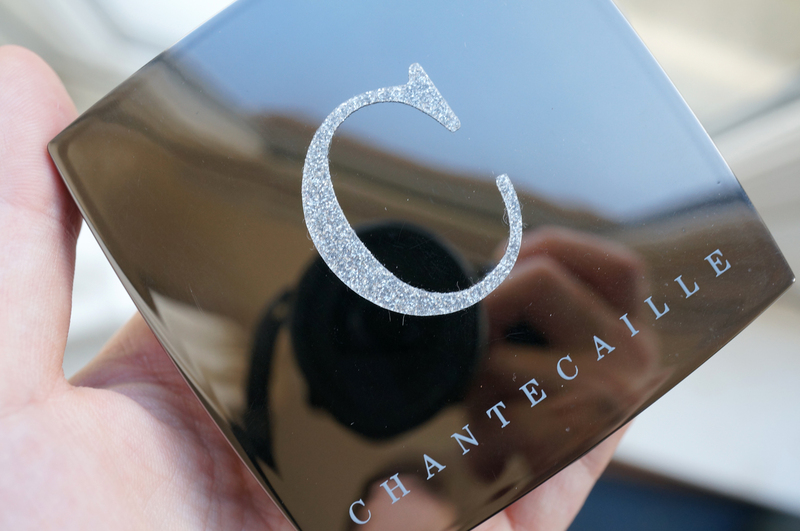 Anyway, this sweet little Chantecaille duo is the perfect mini set to add to your makeup bag, it comes housed in high shine metallic gunmetal grey casing, with an internal mirror and two mini applicators. There are four different limited edition colour combinations to choose from, and I have Monte Carlo, which includes a pretty peachy pink and a warm mid brown shade. Both shadows have shimmer and offer a long wearing silky smooth stay-put application with a satin finish. The new Seven Deadly Sins collection contains seven intense gloss shades that are super lightweight whilst being full of pigment. 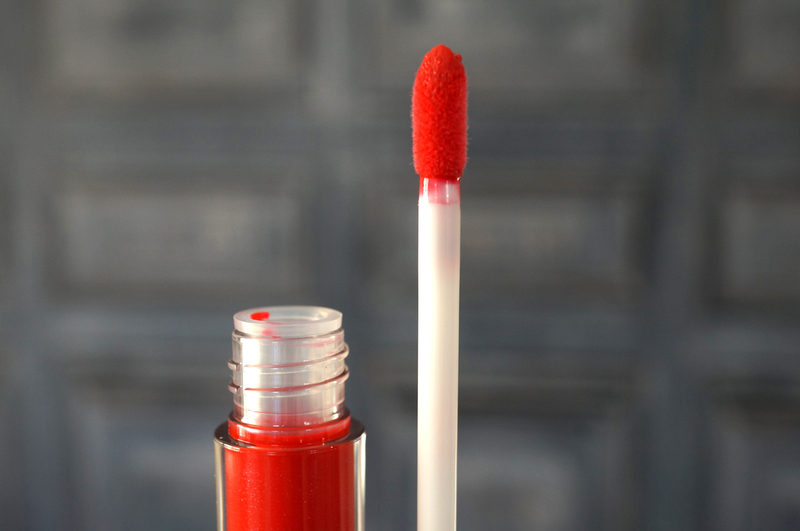 I have Anger, a bright fiery red-coral shade – it’s perfect for a glossy statement lip! The texture is super silky with no stickiness, and the formula is enriched with Vitamin E, Shea Butter and Moadowfoam for comfort and to help condition the lips. I’ve been using this lash serum for a little while now and I really do think it’s starting to improve my lashes. Just a bit of background info here, my lashes are super short, and fine, and straight, and just everything you don’t want your lashes to be. So if a product promises to help lengthen and volumise, then I want to try it! Shiseido’s Full Lash Serum is formulated with natural ingredients to stimulate the growth of hair follicle cells, whilst conditioning the hair to retain moisture, and restoring damaged or snapped lashes caused by mascara use. Fingers crossed I’ll have full fluttery lashes in no time! 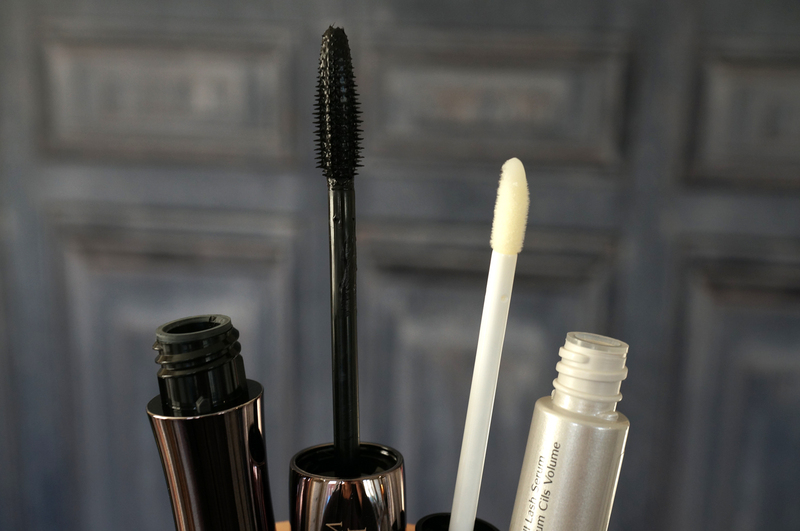 And Lancome’s Hypnose Volume A Porter Mascara really does everything it’s supposed to, giving instant volume with a no flake formula. This is easily one of the best mascaras I’ve used recently. I use two or three coats to give volume, and I love that it doesn’t clump or feel heavy, and you can build it up as much you wish. This definitely gets top marks from me! So what do you think? Have any of these products caught your eye? Previous Post My Top 10 Christmas Tree Beauty Baubles! Is it bad that I now want some of these for myself? I think that Lipstick Queen lipstick would be a perfect stocking stuffer!